Muscle contraction at the molecular level is a process named cross-bridge cycle or actomyosin ATPase cycle resulting from the interaction of myosin and actin. The conformational changes of myosin head after bound to actin transfer the chemical energy stored in ATP into the force or tension through the swing of myosin head on the actin filaments. 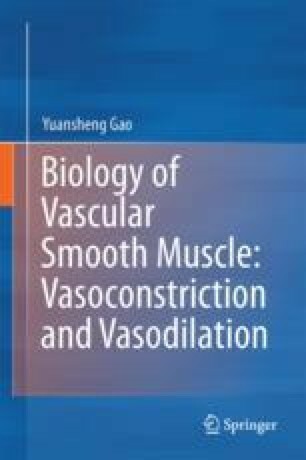 The specific myosin heavy chain isoforms are the key determinants of the unique characteristics of cross-bridge cycle of smooth muscle including vascular smooth muscle. Differing from the striated muscle, the cross-bridge cycle and thus the force generation are mainly regulated by the phosphorylation of the regulatory myosin light chain (MLC20). The MLC20 isoforms as well as the latch state may contribute to different contractile responses between the tonic and phasic arteries.